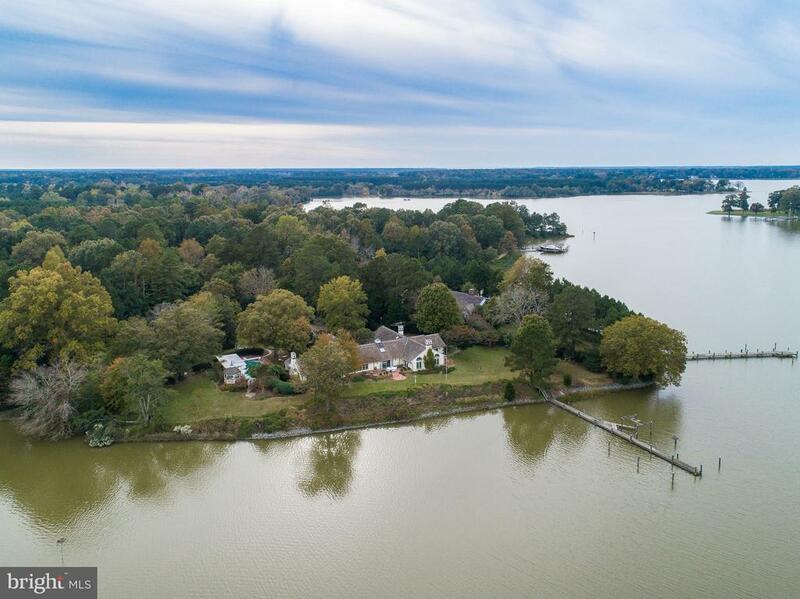 Stunning Trippe Creek waterfront property located in a gated community off the desirable Oxford corridor. Quality abounds in this renovated one-level home including Pella windows and doors throughout, 3 gas log fireplaces, handsome millwork, pegged oak floors, and custom artist commissioned stained glass. Grand living space with the heart of the home in the spacious eat-in Chef~s kitchen overlooking the water, stunning formal living and dining rooms with water views, light filled waterside sunroom, and fabulous river room boasting gas fireplace with stacked stone hearth, vaulted and beamed ceiling, and wall of built-in book cases. Spacious master suite with his and hers bathrooms, 2 walk-in closets and access to waterside private patio, plus 3 additional bedrooms, including one with ensuite bath. Enjoy a gorgeous in-ground pool with 2 pergolas, gazebo, and patio. Deep water pier with 4 slips, 7~ +/- MLW and electric, 494 +/- waterfrontage and rip-rap. 2-car attached garage with 2nd floor storage rooms. All of this and more!